Ban Ki-moon will receive the 2017 Individual Building Bridges Award from Pacific Century Institute on Feb. 23, according to PCI News. 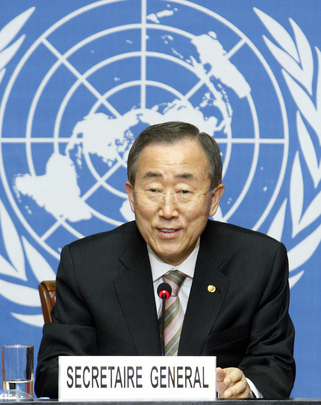 Ban served from 2007 to 2016 as the UN secretary-general. He was responsible for several major reforms on peacekeeping, UN employment practices and climate change. The UN faced serious challenges in promoting international gender equality, along with inadequate funding during Ban’s two terms. Under Ban’s initiative in July 2010, the UN General Assembly created UN Women to empower women and coordinate their equality. The member states also undertook funding mandates to profound impact. Ban was recognized by American news publication Foreign Policy in 2016 as one of the Top 100 Global Thinkers for his achievement in turning the Paris Agreement on climate change into a legally binding treaty less than a year after it was adopted. The eighth formal secretary-general of the UN also carried out the World Humanitarian Summit in May 2016 in Istanbul as a firm supporter. Ban Ki-moon will be honored with the award at PCI’s annual award dinner, which will take place at InterContinental Los Angeles Century City.